Gammon India Company was asked to step down from outer ring road works of Vijayawada, as they have not completed the work in the given time. The outer ring road was designed to connect the Kaza toll gate junction in Guntur district to Gannavaram mandal in Krishna district passing via Tadepalli and Venkatapalem villages in Guntur district and Nunna, Mustabada villages in Krishna district. The state government had acquired over 1,100 acres land and handed it over to the National Highways Authority of India (NHAI) for a construction of the outer ring road. 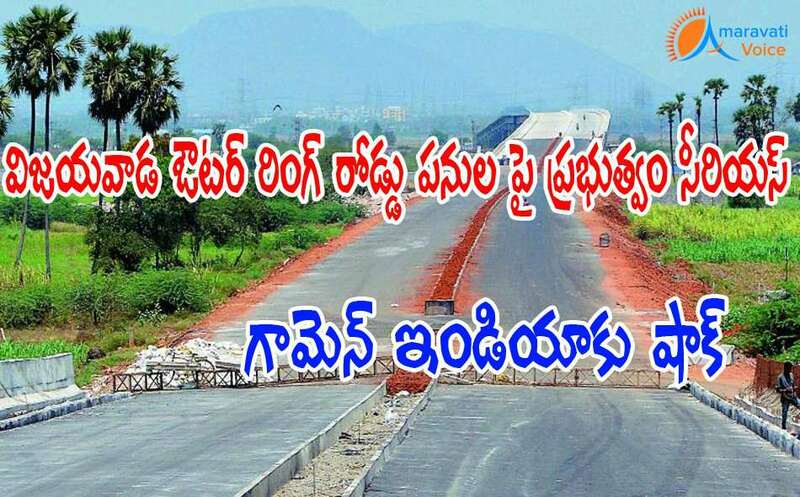 The NHAI is trying to complete the part of the outer ring road works connecting Peda Avutupalli village in Gannavaram mandal to Gollapudi village on the outskirts of Vijayawada city. The government had awarded the work to Gammon India company nearly five years ago. The outer ring road was designed to divert the traffic on Chennai-Kolkata route as well as Hyderabad-Kolkata route. The works connecting Kaza toll plaza to Gollapudi were started but progress is at low pace. As part of the ORR project, 3.2 km bridge will be constructed on Krishna river at a cost of Rs.80 crore at Venkatapalem.